South east London blues singer and guitarist Billy Jenkins presents his own mixtape compiled from his diverse and adventurous music collection. 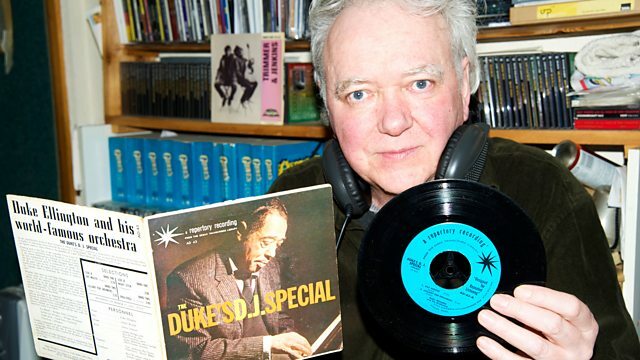 Southeast-London blues singer and guitarist Billy Jenkins curates a thirty-minute mix, taking listeners on a surprising journey through adventurous music. A bluesman, original improviser, and self-styled musical subversive, Jenkins's music is inspired by the southeast-London suburbs where he lives. The comedian Stewart Lee has said of Billy, "there is a kind of genius on our doorstep, don't let him die in poverty". In 2016 his 'True Love Collection' was listed by the BBC as one of the '50 Greatest Ever Jazz Albums'. The Late Junction Mixtape is a chance for guests to explore the full diversity of their record collection, digging out obscure gems and much-loved rarities. Recent compilers for the programme have included Genesis P-Orridge, Roots Manuva, Grimes, Tyondai Braxton, and Stewart Lee himself. The Exciting Sounds of Model Road Racing. The Doughnut In Granny's Greenhouse. Complete Studies For Player Piano Volume One. In A Metal Mood: No More Mr. Nice Guy. The Duke's D. J. Special. Bulmer's Present Bob Monkhouse And His Do-It-Yourself Comedians Kit. Johnny Pineapple And His Islanders. Composer: Harry Ruby. Composer: Ted Snyder. Performer: Juan García Esquivel. Music Arranger: Juan García Esquivel. Performer: Symfonický orchester Slovenského rozhlasu.